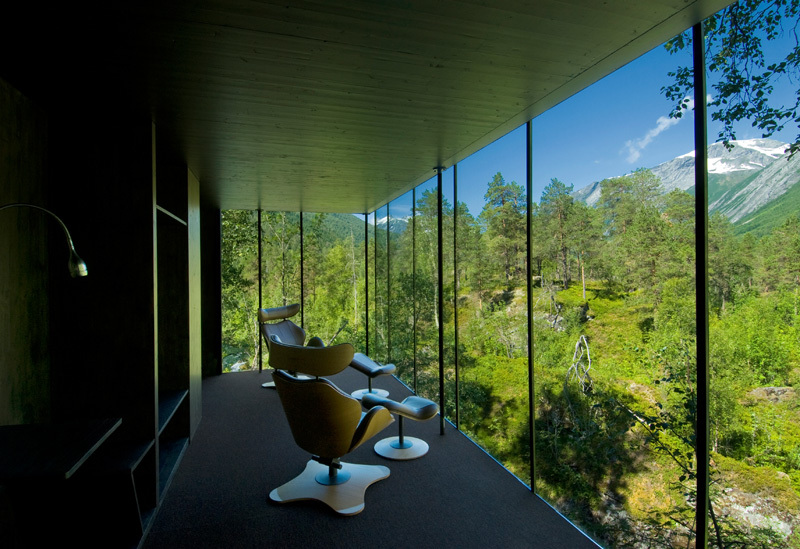 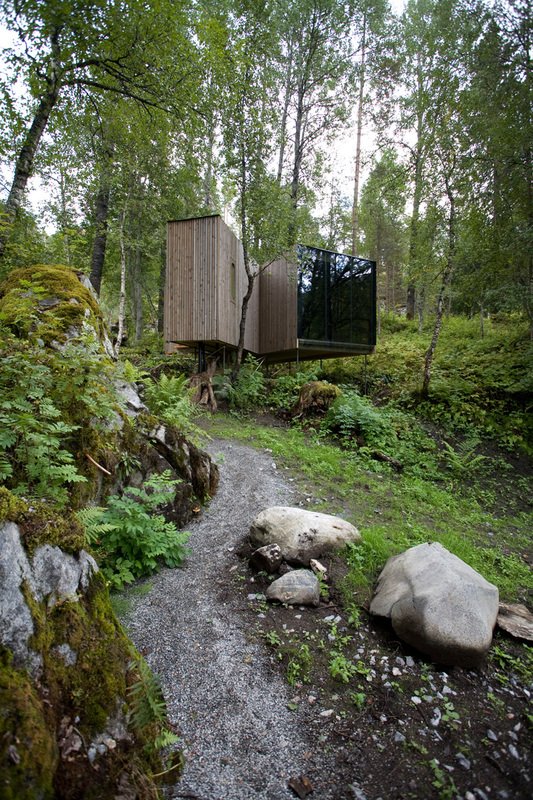 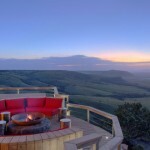 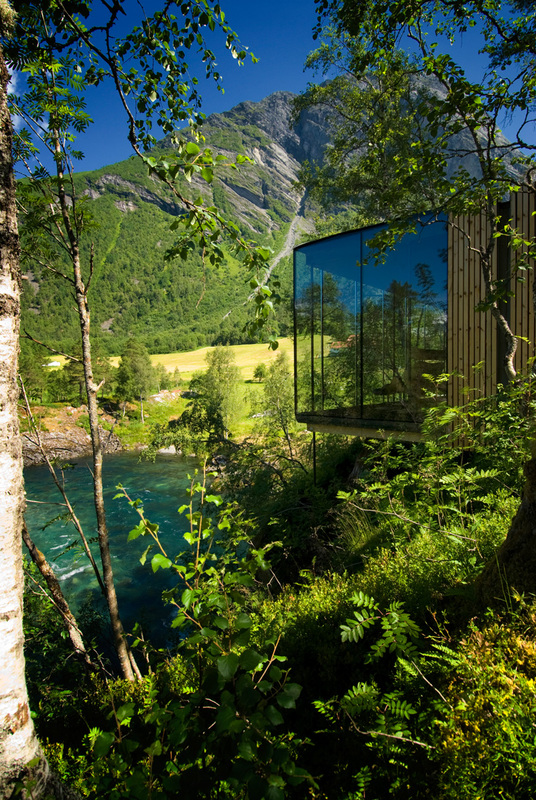 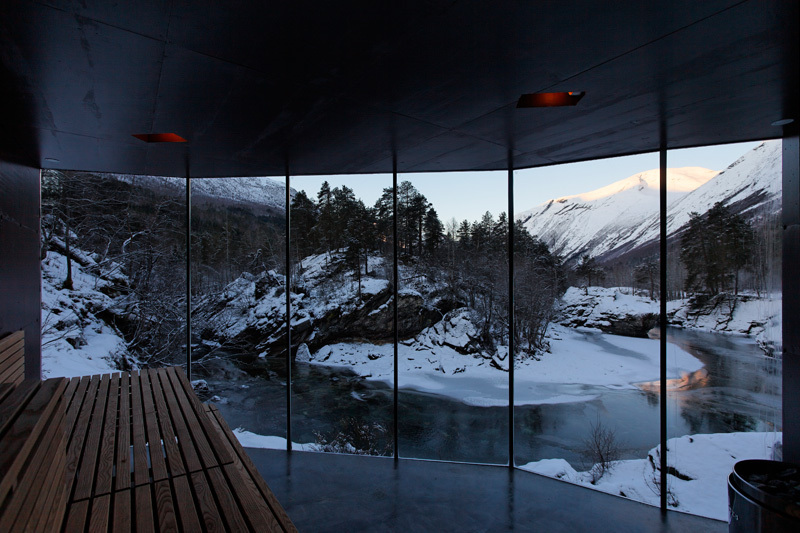 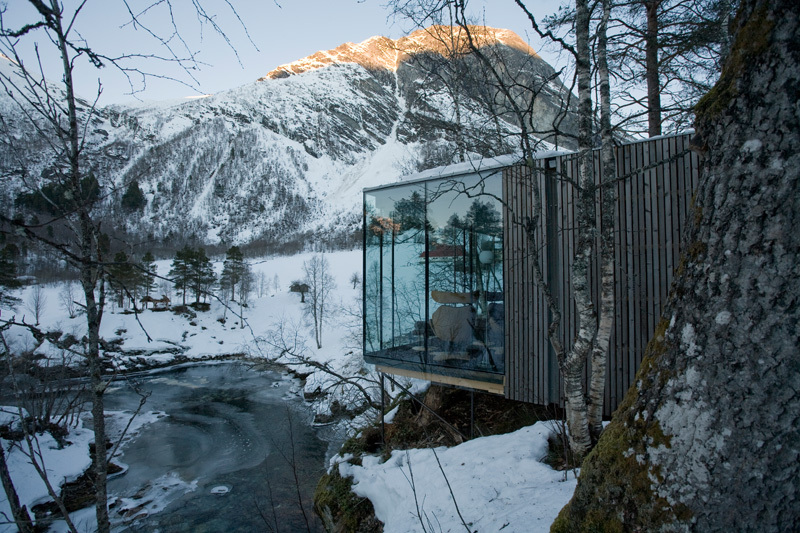 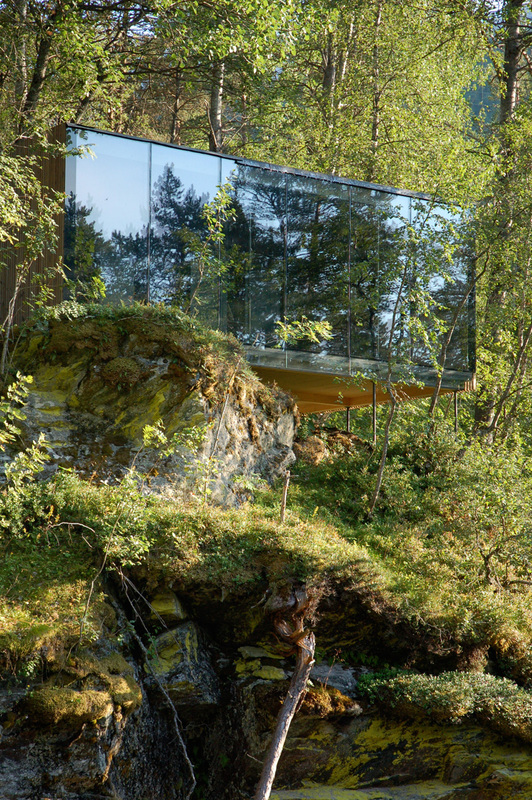 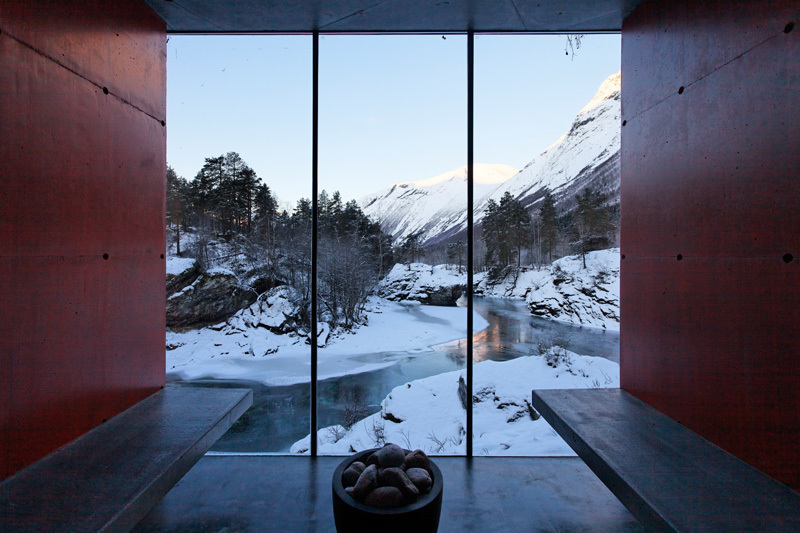 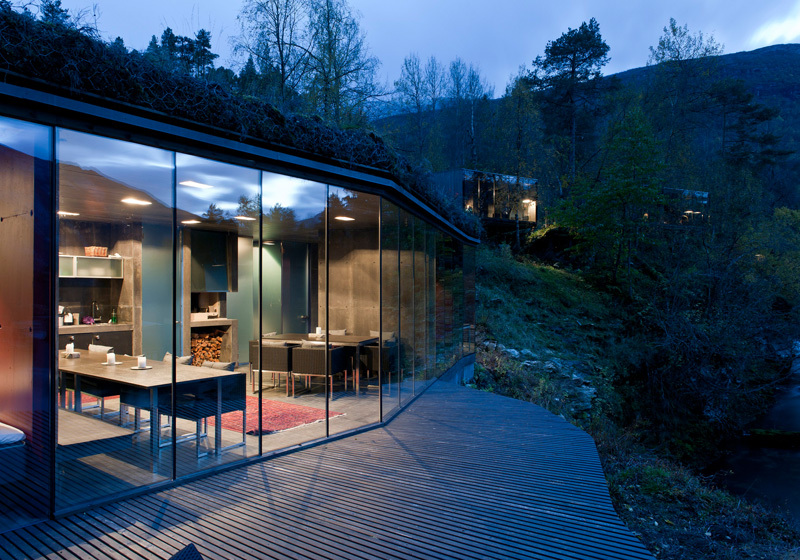 If you’ve ever wanted to stay in rural Norway, the Juvet Landscape Hotel is a must. 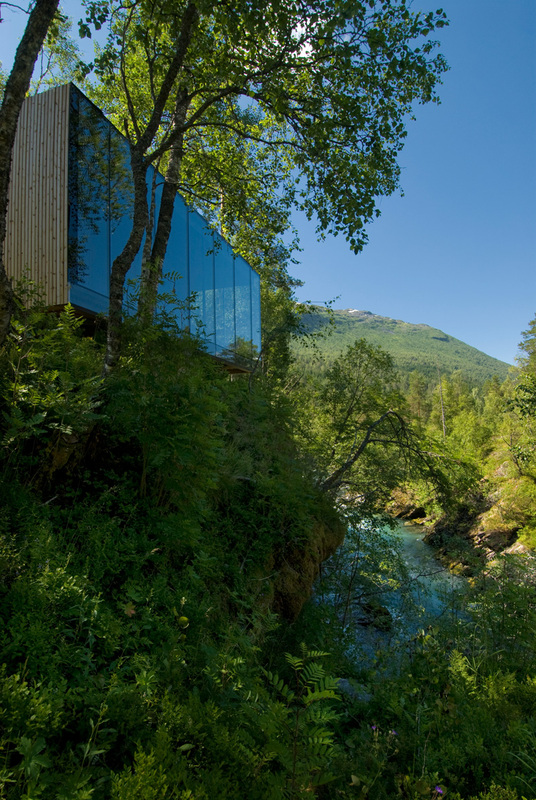 Located in the farmstead of Burtigarden farm at Alstad in Valldal, the hotel is situated among birch, aspen and pine tress that surround a picturesque stream and age-old boulders. 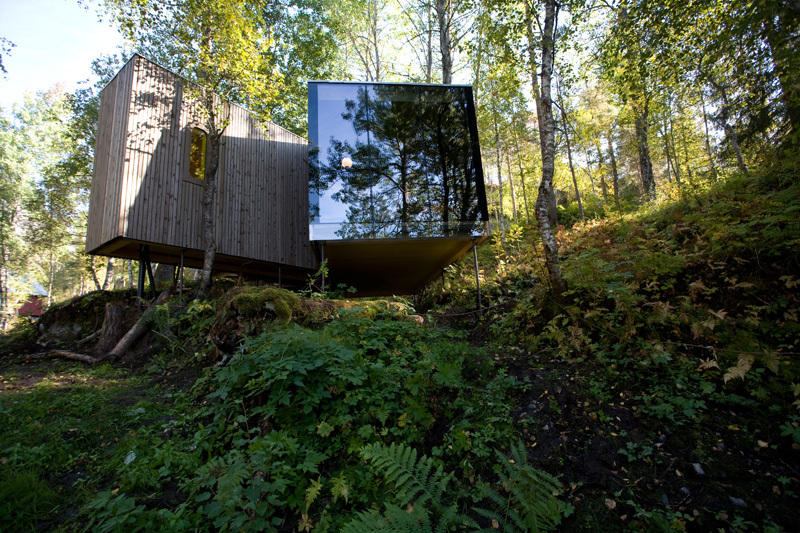 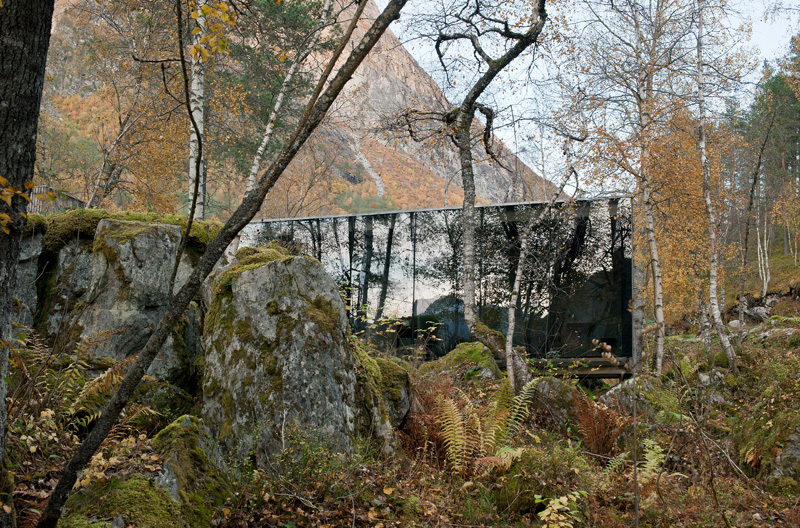 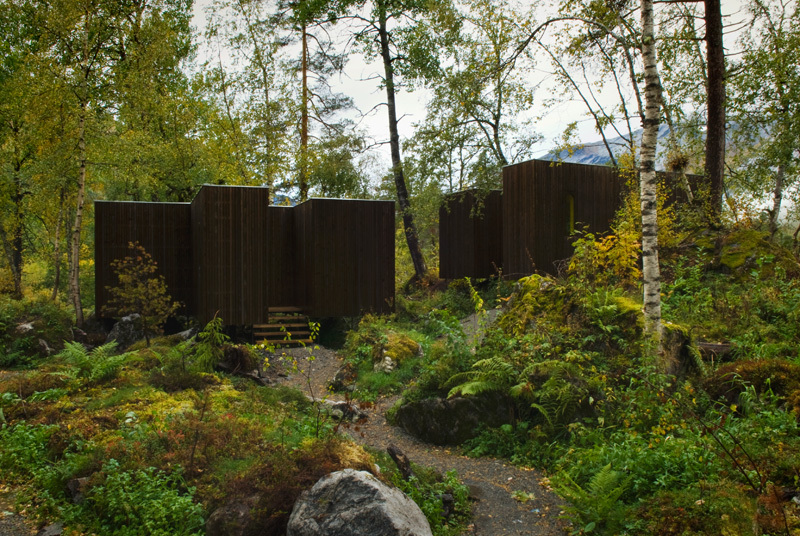 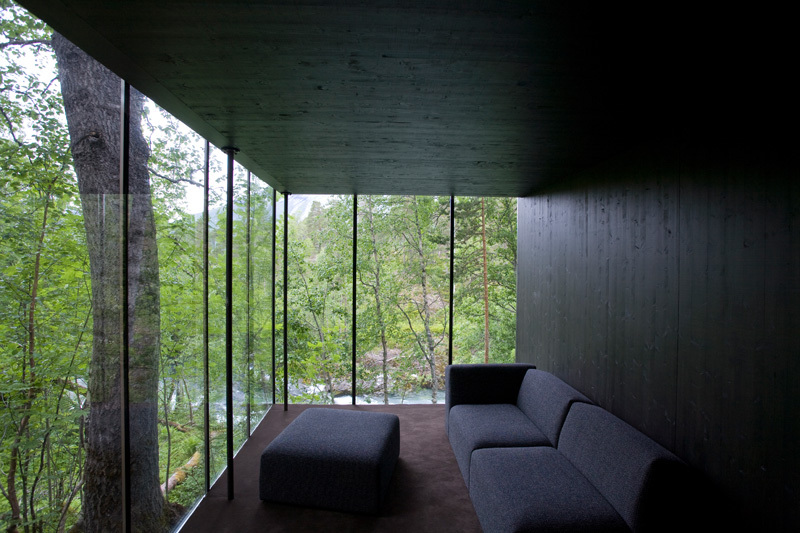 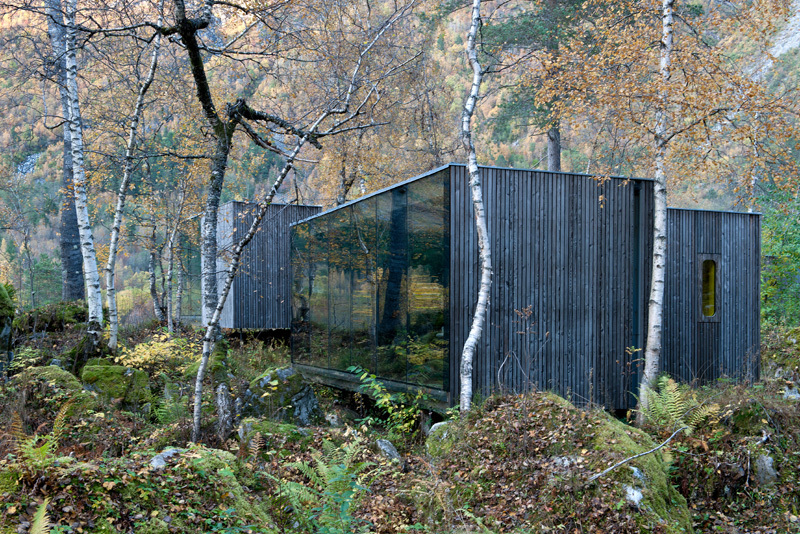 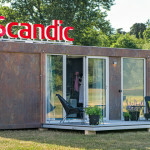 The hotel, designed by architects Jensen & Skodvin, has just seven individual ‘cubes’, that all blend in with the natural environment and have been designed with dark interiors to avoid stealing focus from the scenery.